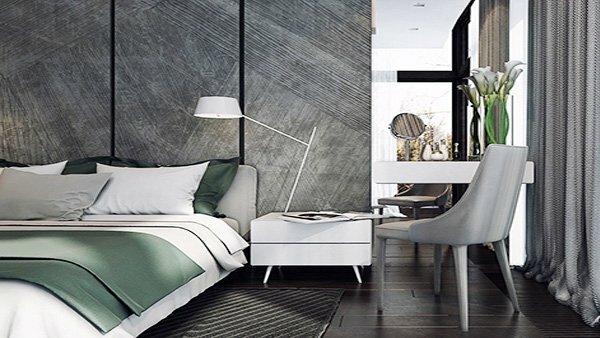 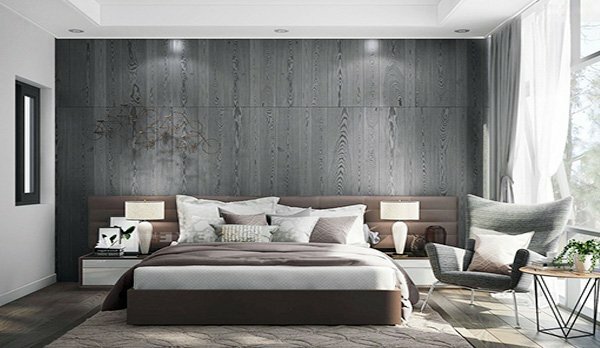 Grey bedroom designs have become popular and trendy for the past couple of years, and the reason is obvious: they are stylish, chic, fashionable, sophisticated; they have a clean look and they are absolutely soothing. 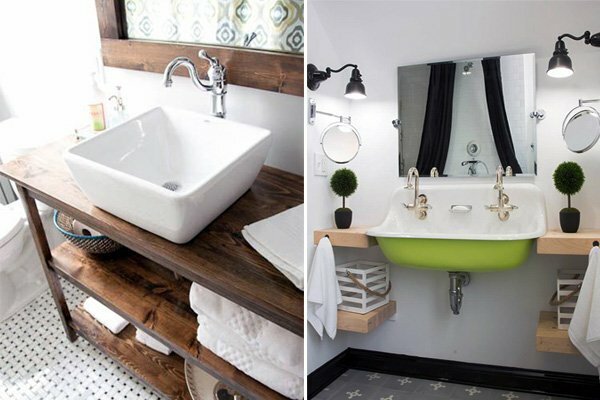 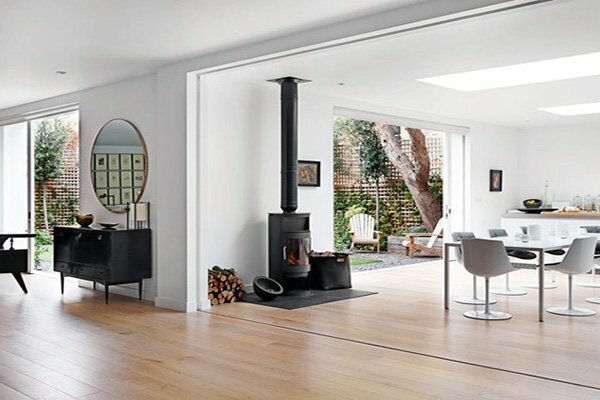 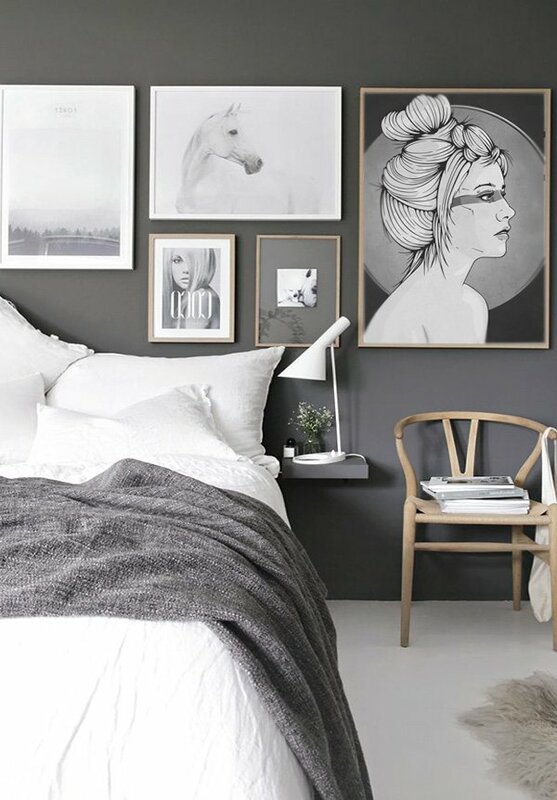 Although grey might sound uninviting and cold, these beautiful designs you’ll see below will definitely prove this old-fashioned idea wrong. 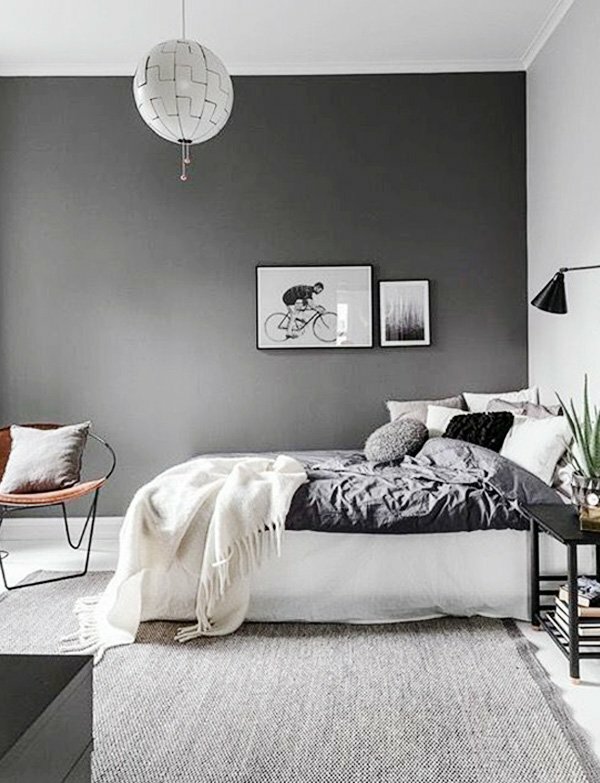 Plus, it is the ultimate color to combine with other colors to capture that ambience you’re looking for (and that ambience is totally up to you and your own taste; this color gives you that freedom). 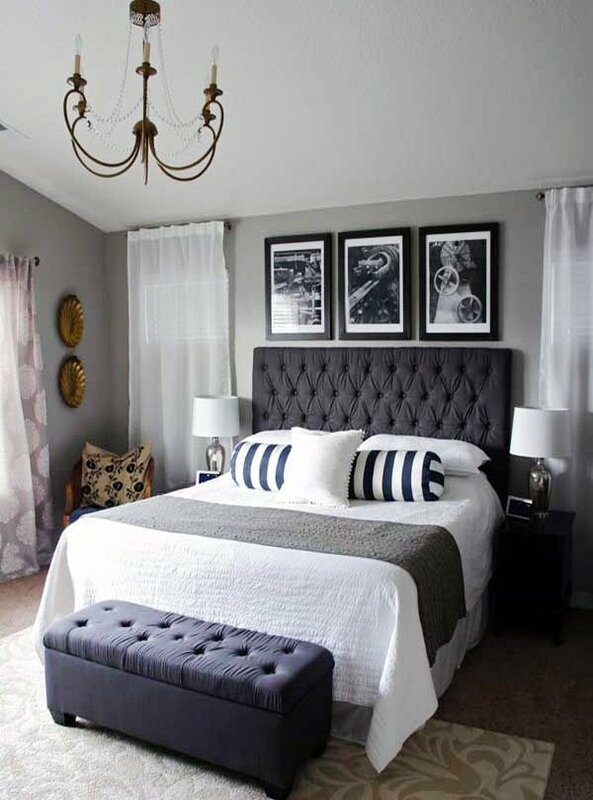 So go ahead and blend it with different colors and accessories and create a gorgeous bedroom that represents you. 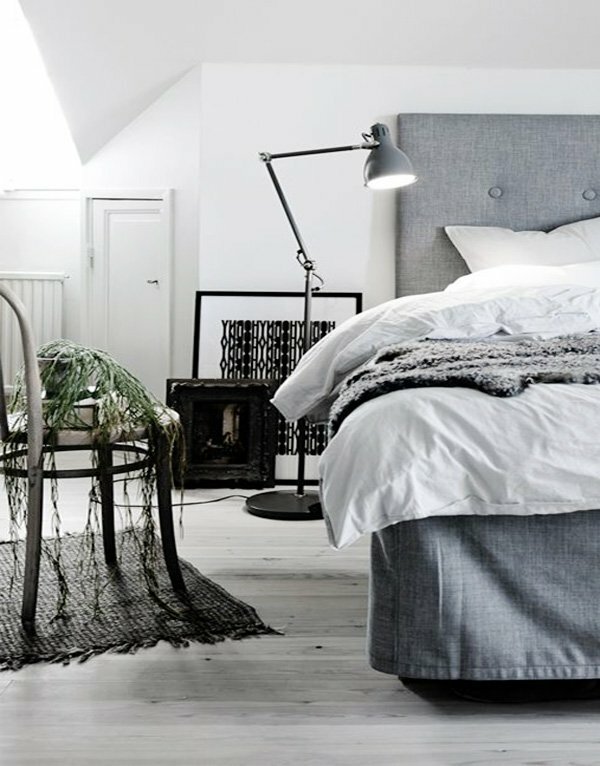 If you combine grey with blue or softer shades of grey, you’ll definitely create a modern and pampering bedroom. 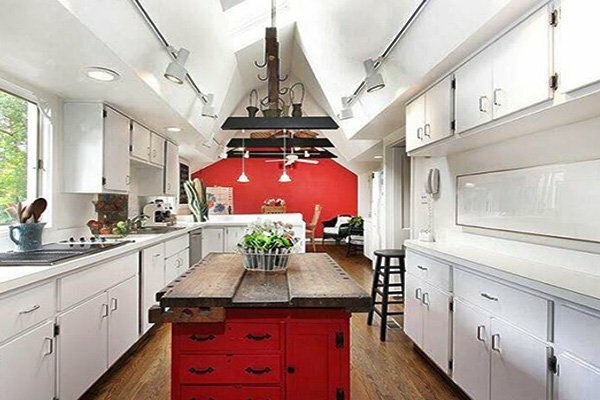 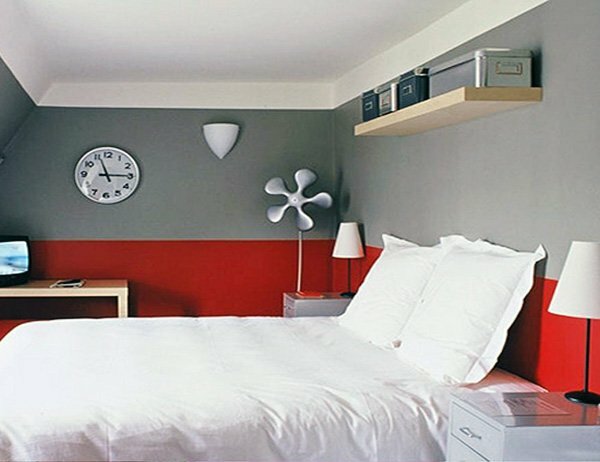 You can also pair grey with red, yellow, and black and achieve a contemporary yet traditional result. 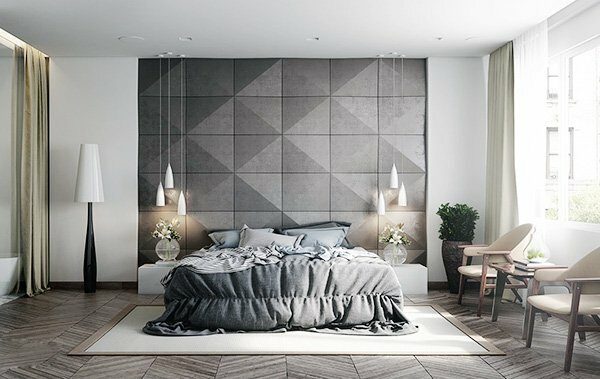 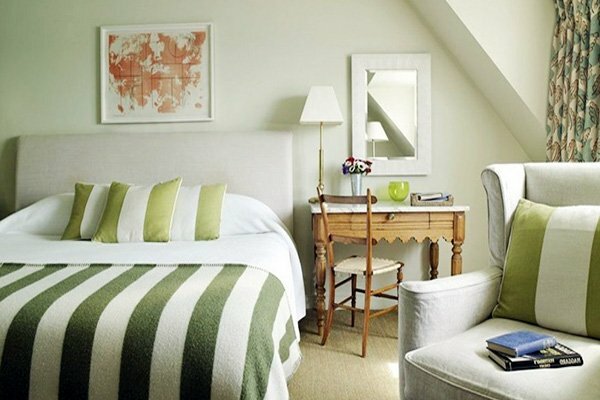 Combining grey with lively colors will add that extra touch that will turn your bedroom into a happy and modern space. 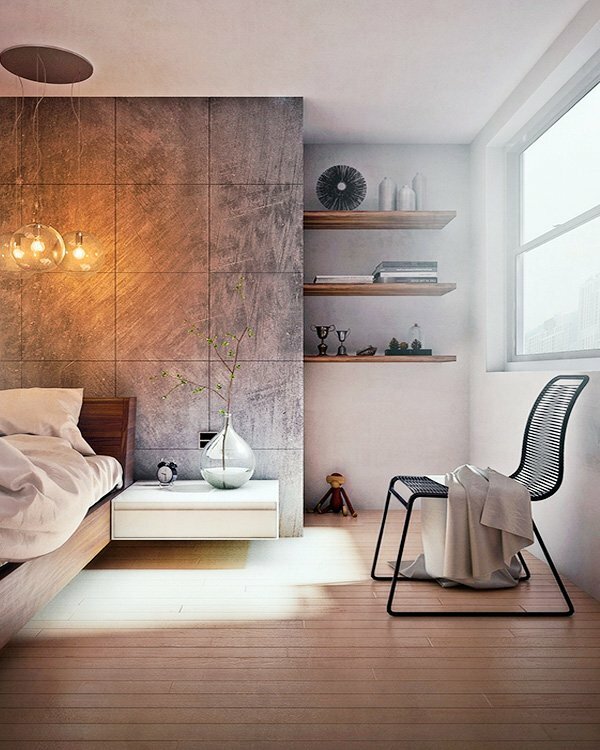 And that’s what you really need in a place where you just want to relax and re-energize. 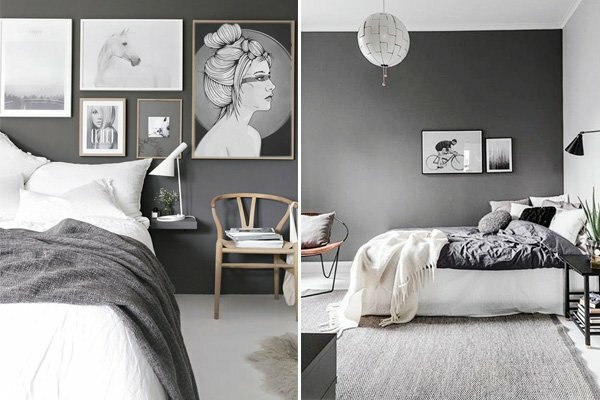 You can capture that Scandinavian feel by painting your bedroom walls grey, and using only a few essential accessories. 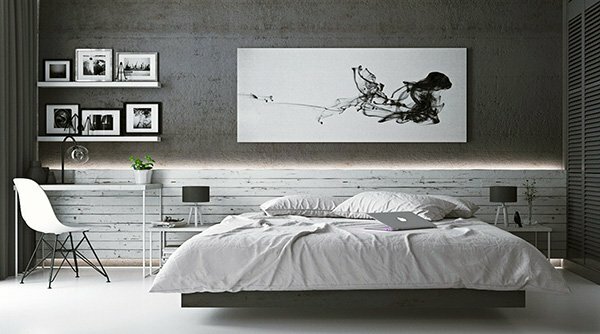 If you combine it with white furniture, you’ll get a minimalist and modern bedroom. 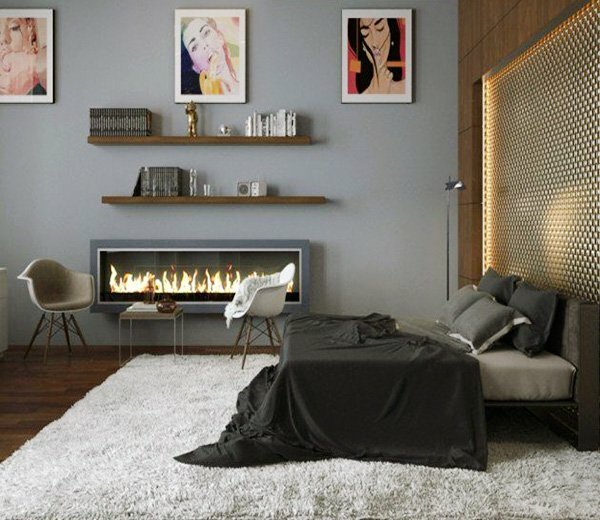 If you mix it with warm colors, you’ll without a doubt balance the overall atmosphere and make sure that your room does not feel empty. 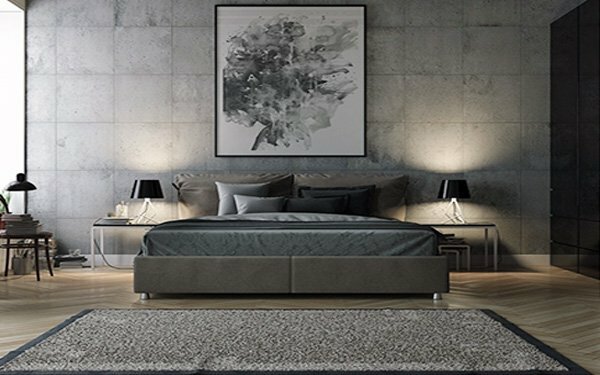 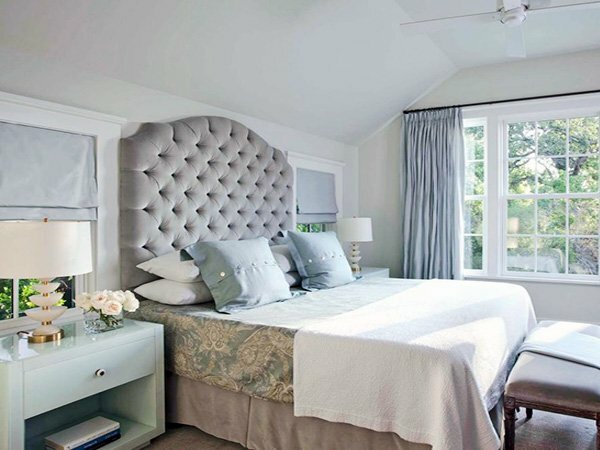 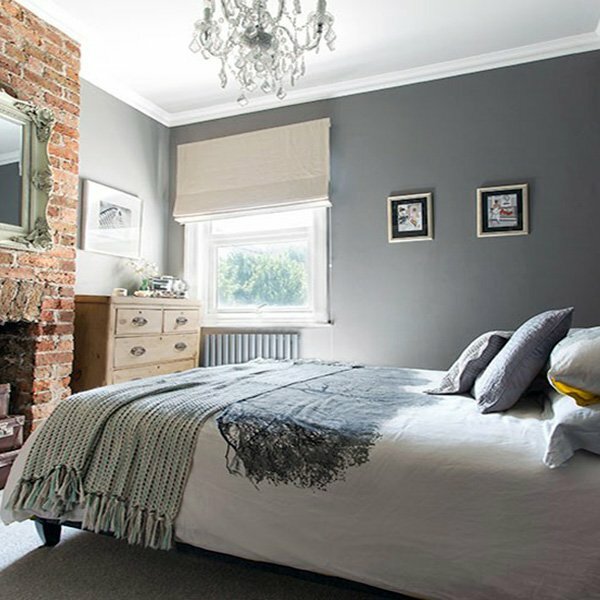 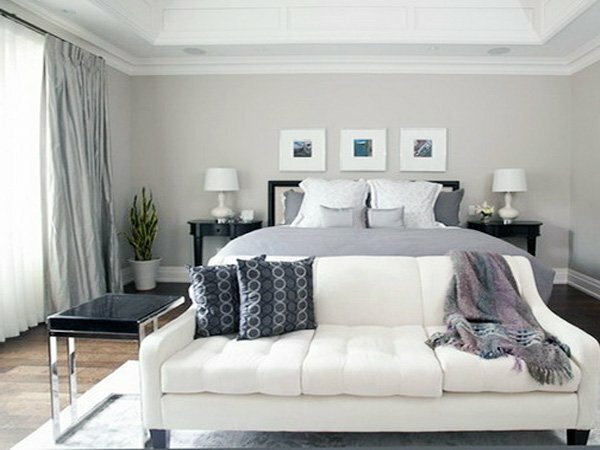 Check out these fantastic grey bedroom designs and create sophisticated but not overwhelming ambience in your bedroom.